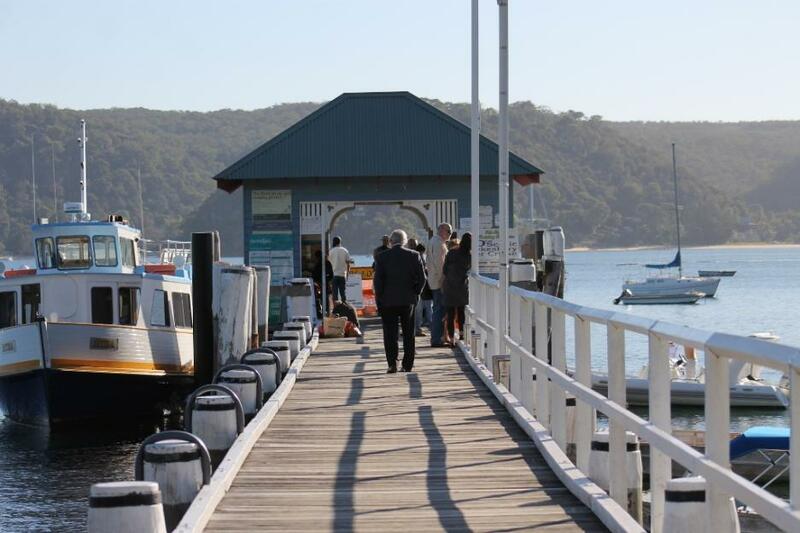 As part of our "research" for current and upcoming History pages we have been undertaking a series of ferry trips – both to and from Ettalong and aboard the Myra, which frequents the western foreshores from Palm Beach and all the wharves adjoining the Kuring-Gai National Park to experience what those who visited Pittwater in the heyday of excursionists trips to the estuary may have experienced. 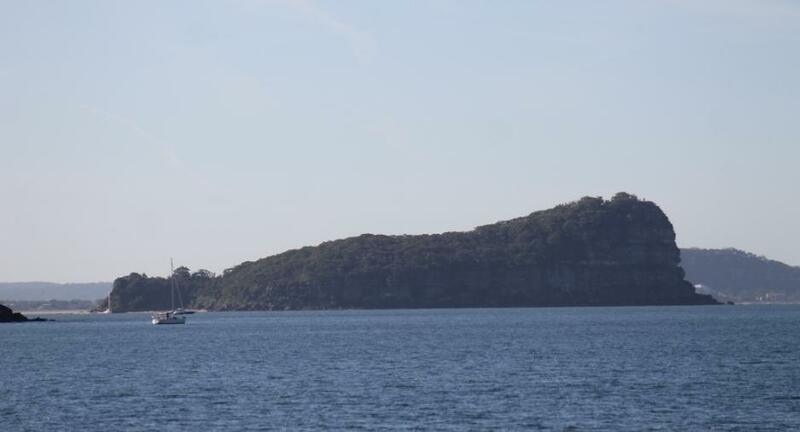 We have not been alone on our voyages – all of the ferries we have been on have also had people on them also taking the trip simply to enjoy the glorious late Autumn weather and being out on the water, either on their way north to Ettalong (a few people we spoke to taking this trip at least two times each week simply to be out in the ocean air), or over to The Basin, Currawong and the wharves before and after these. 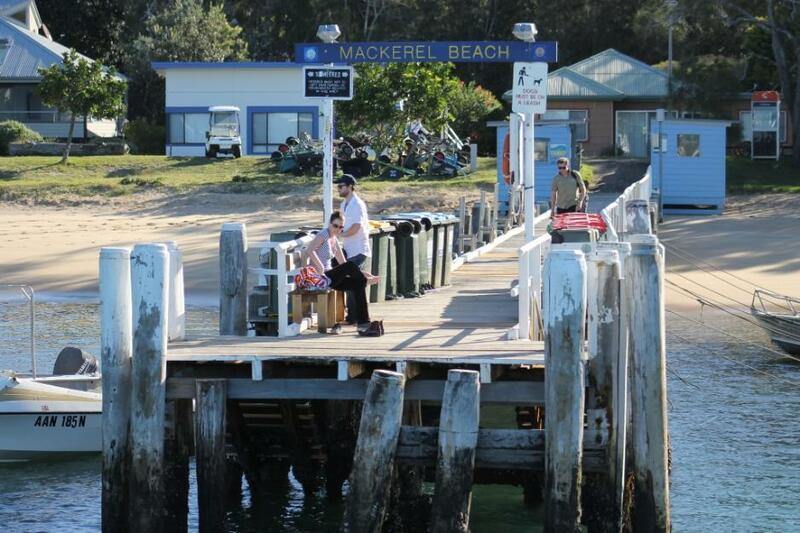 One couple had come from Cronulla for the ferry run, another couple we spoke to, who were also aboard the Myra, disembarked at The Basin and came back aboard at Mackerel Beach Wharf, two hours later having walked the great tracks that link these offshore paradises and had time for a swim as well. 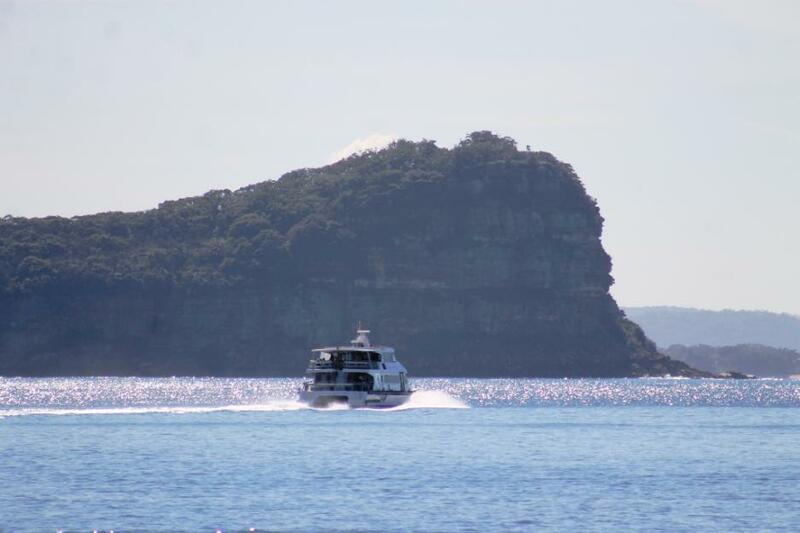 What a great way to spend a sunny afternoon! 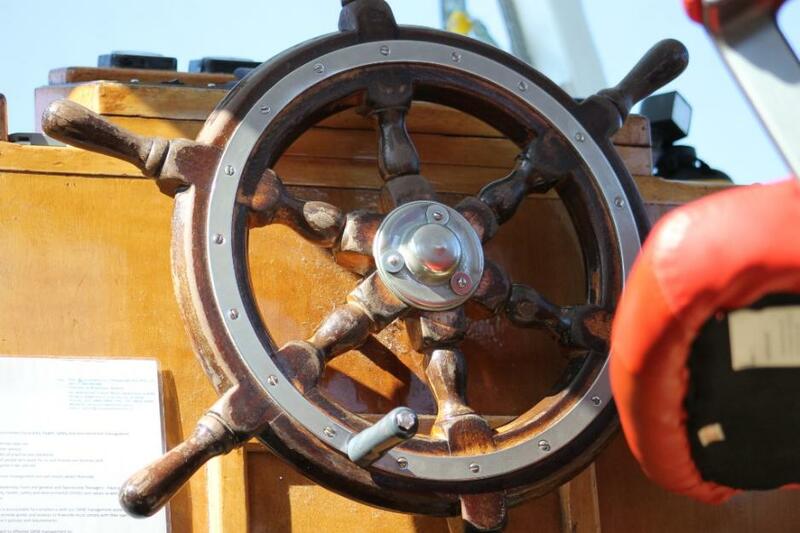 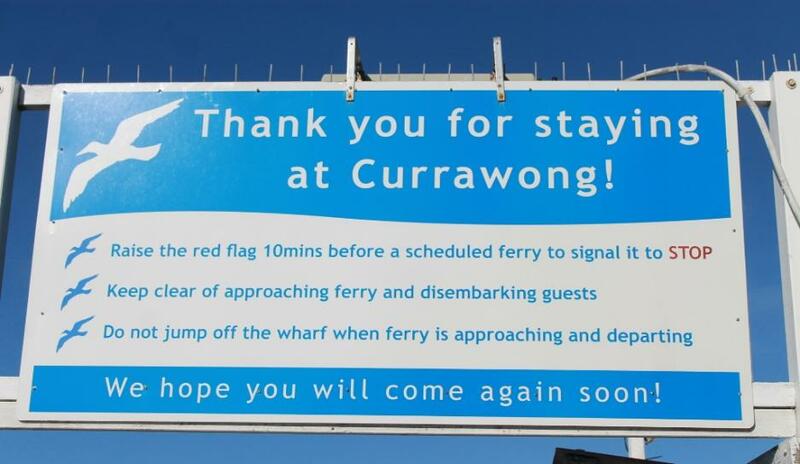 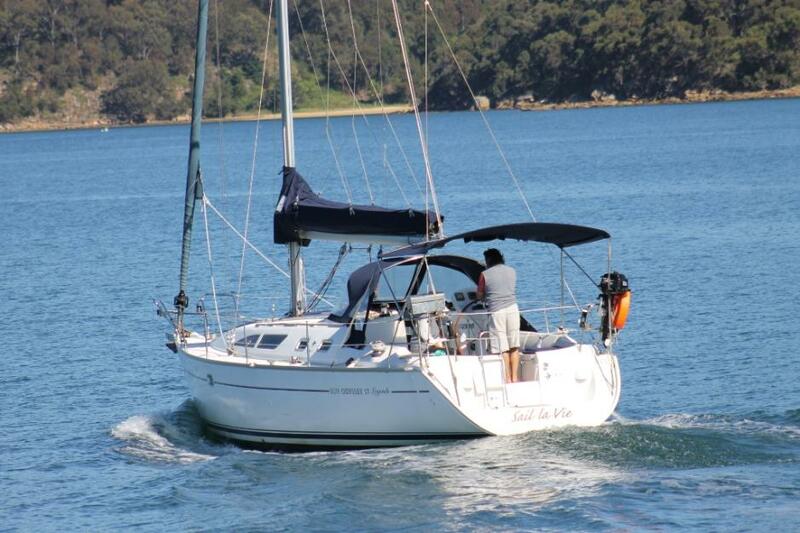 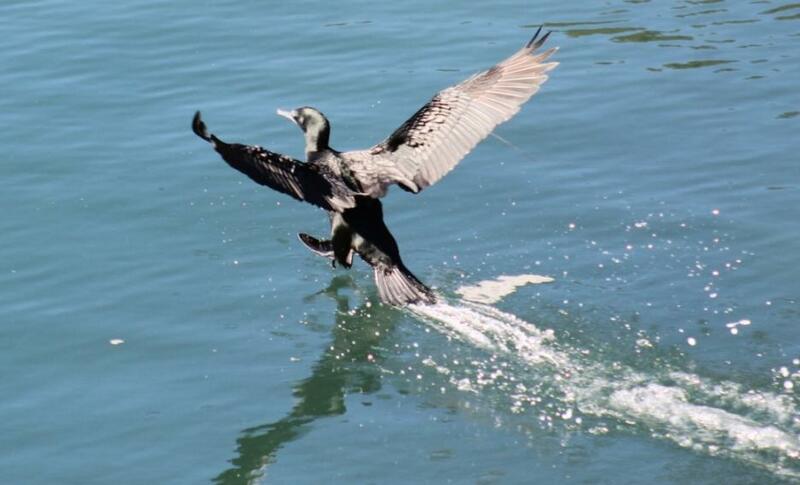 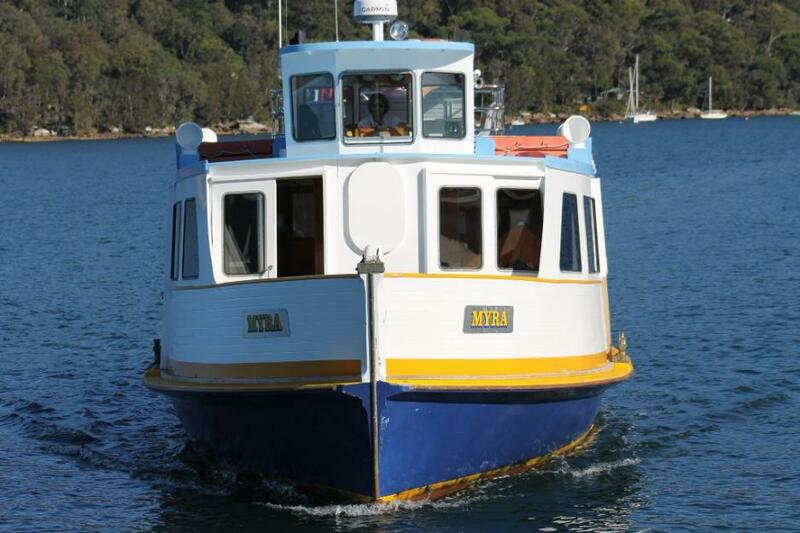 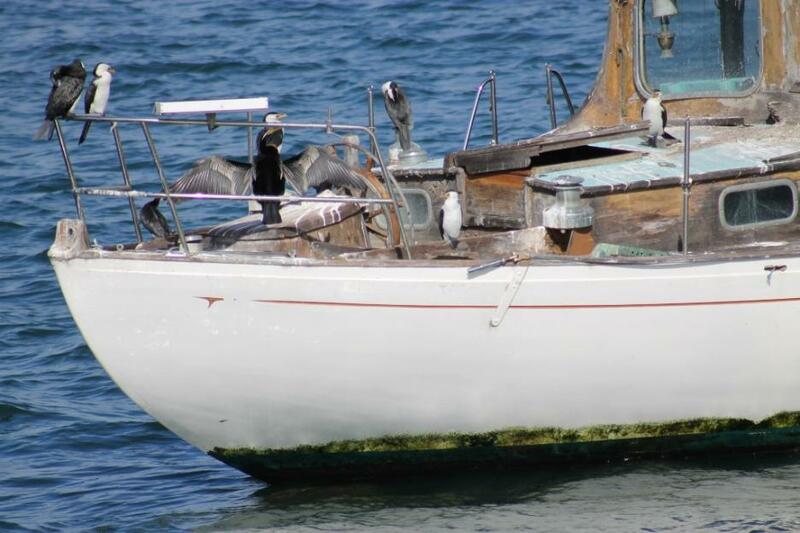 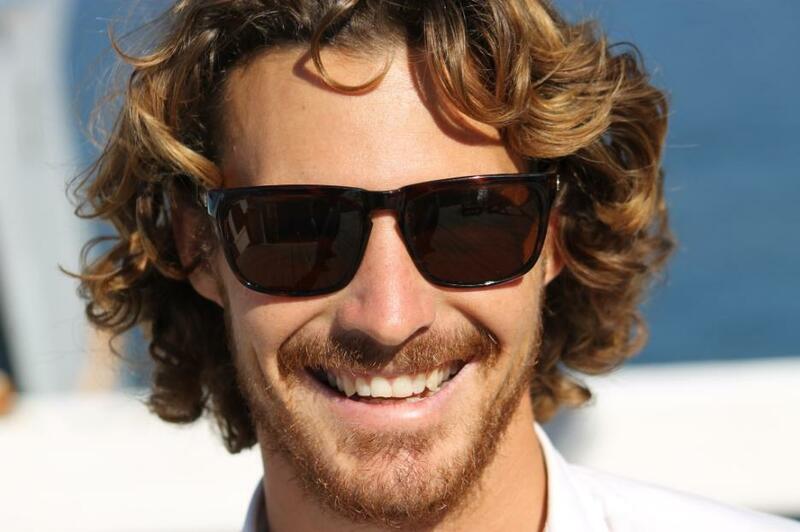 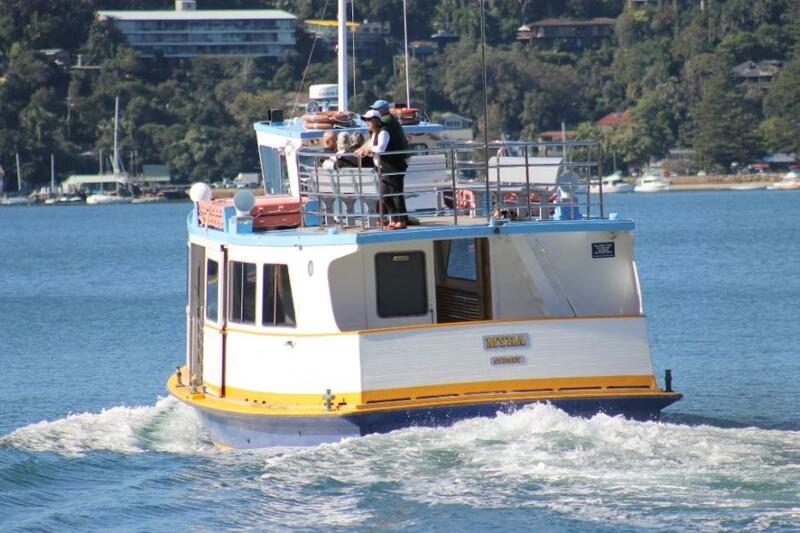 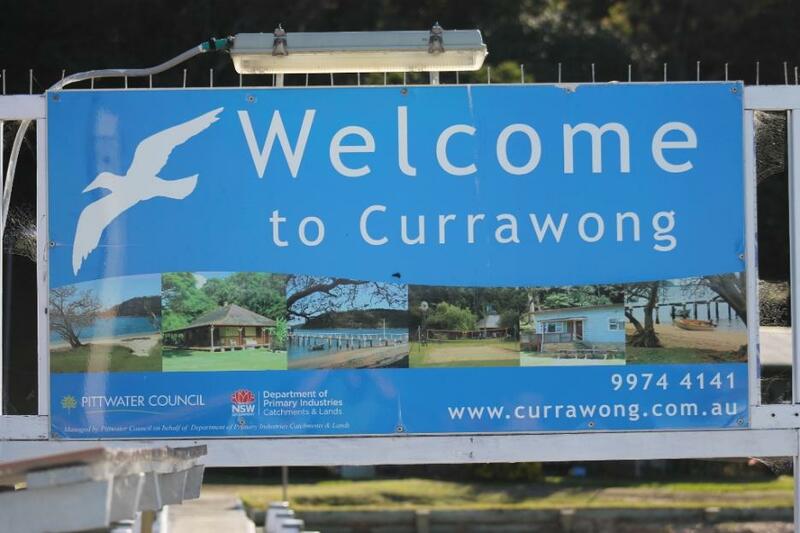 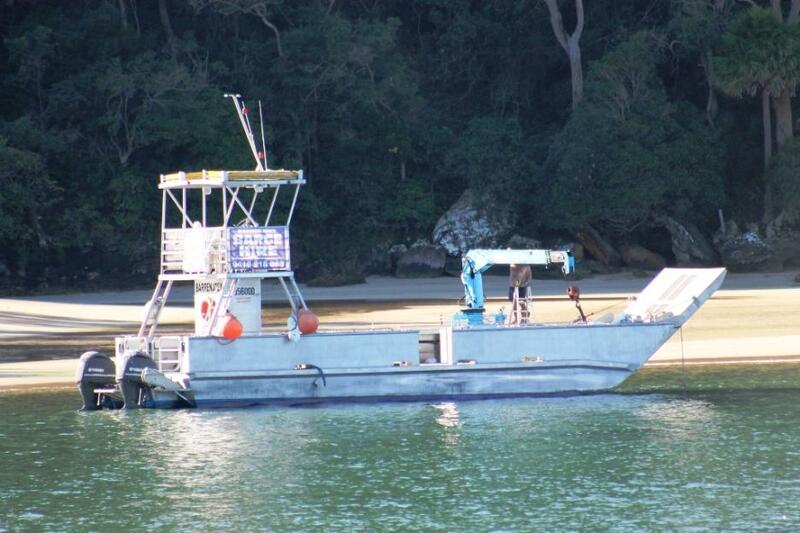 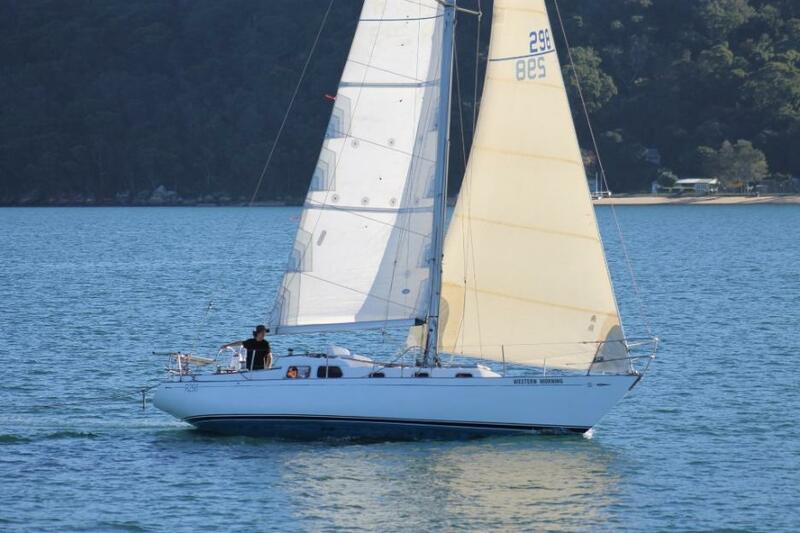 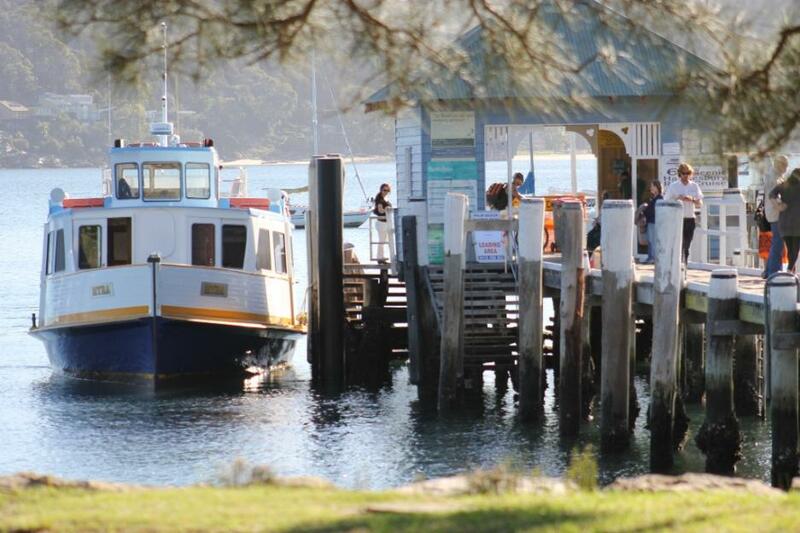 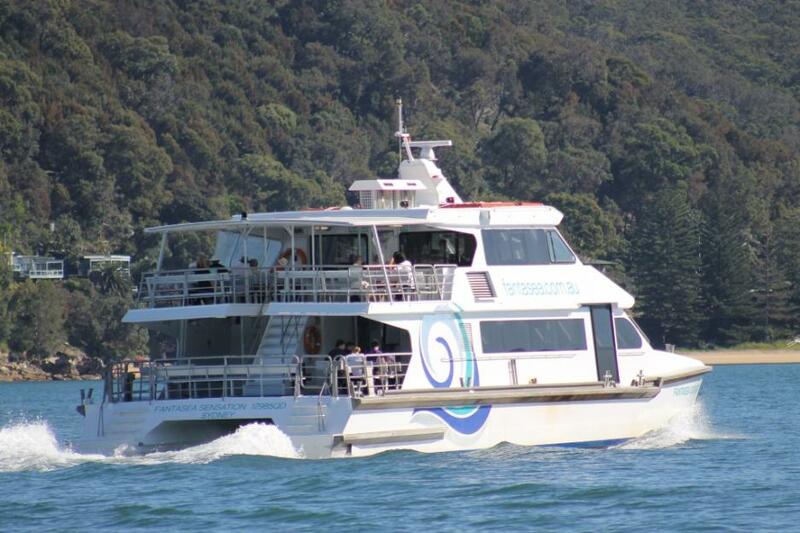 Next Issue we will run a Pictorial for our younger readers on The Ferry Trip to Ettalong. 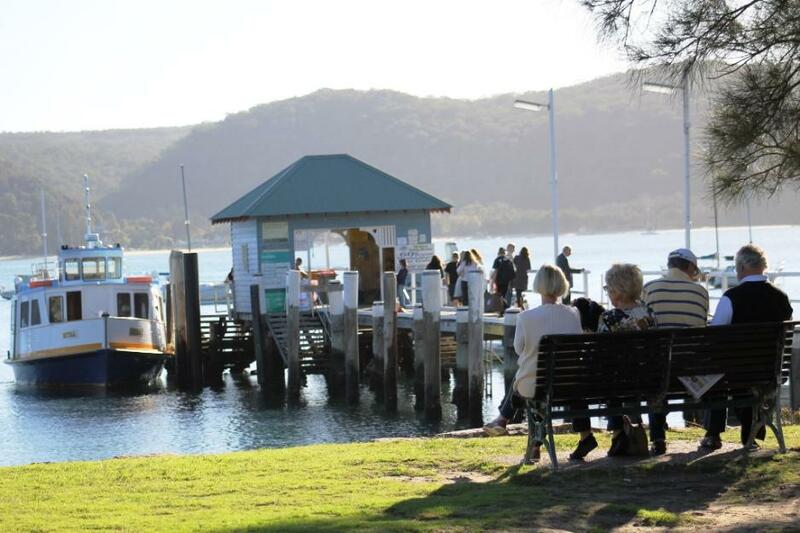 This Issue we share some of the visions and wharves, in sequence, visited on a daily basis by the Palm Beach Ferries ‘Myra’, as well as some of what is seen on these trips - water birds of all kinds, yachts, the green hill rises of western foreshores and a lifestyle that seems not too far removed from the original Pittwater. 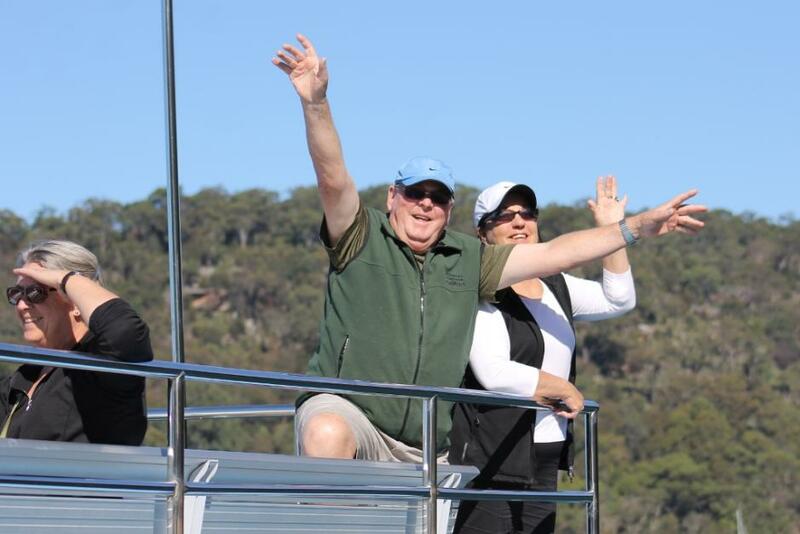 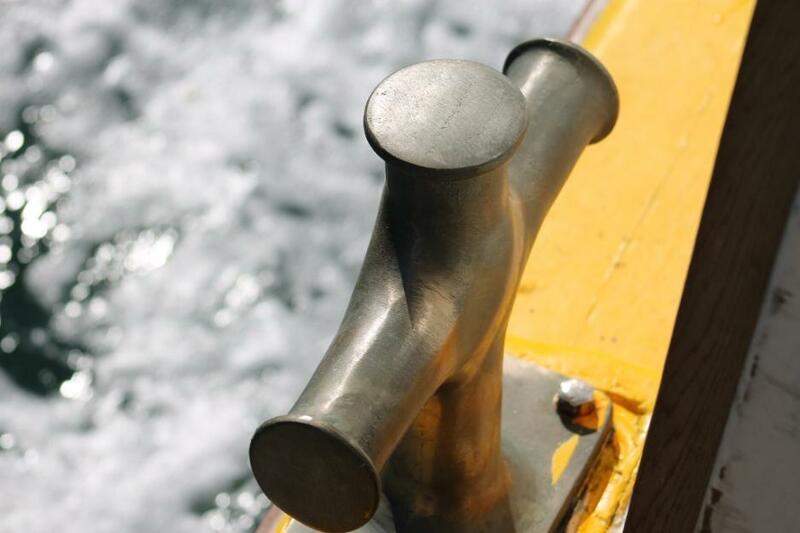 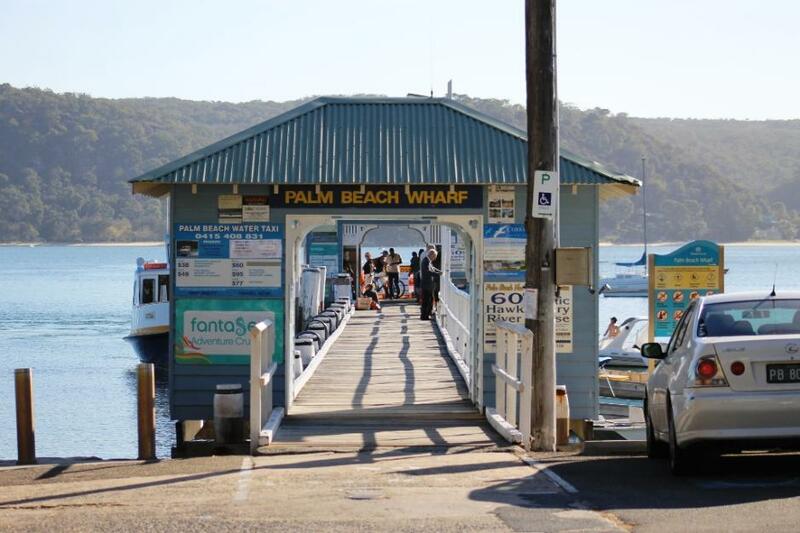 We hope next time you need a breath of fresh air you will take a ferry ride on Pittwater – you won’t come home disappointed! 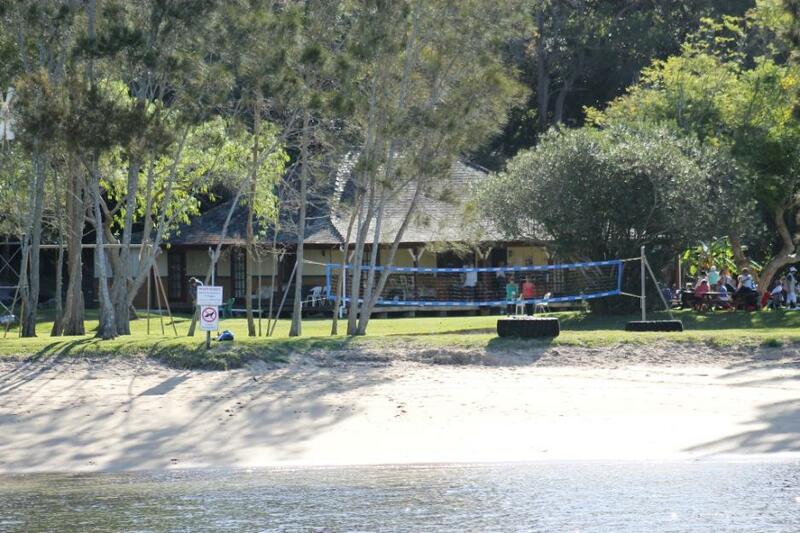 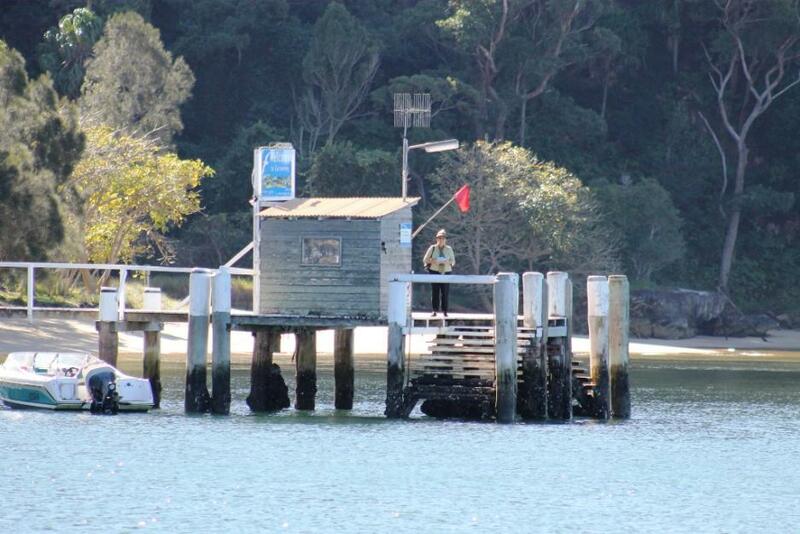 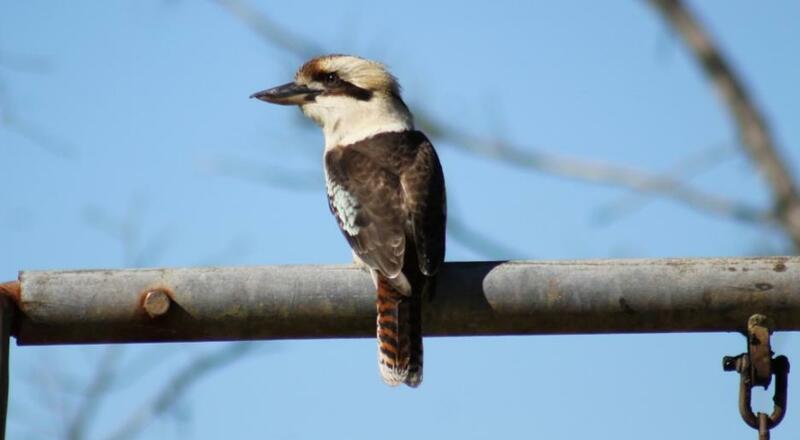 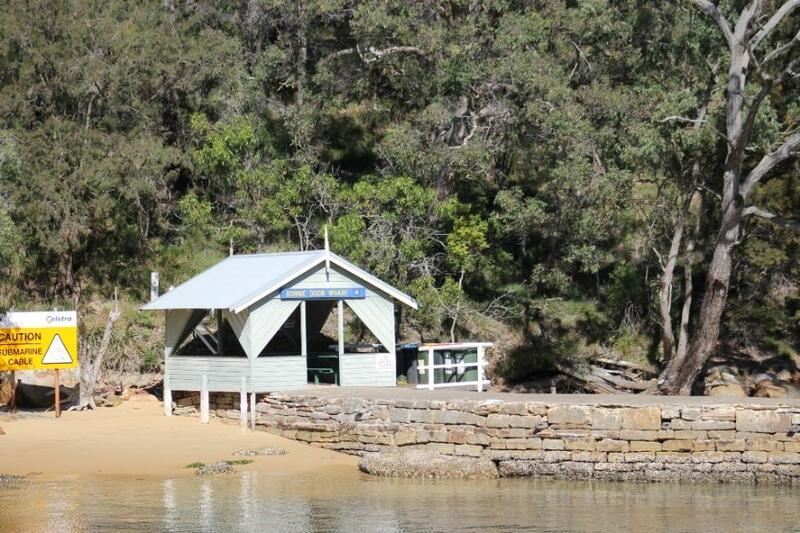 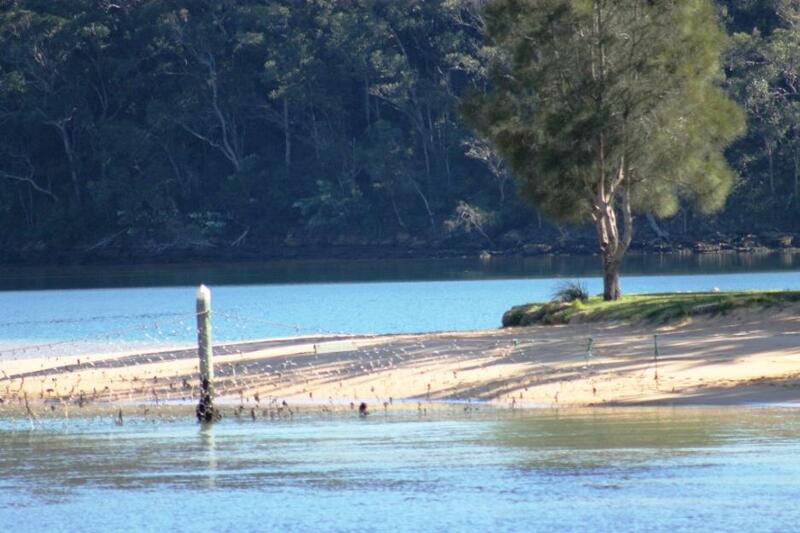 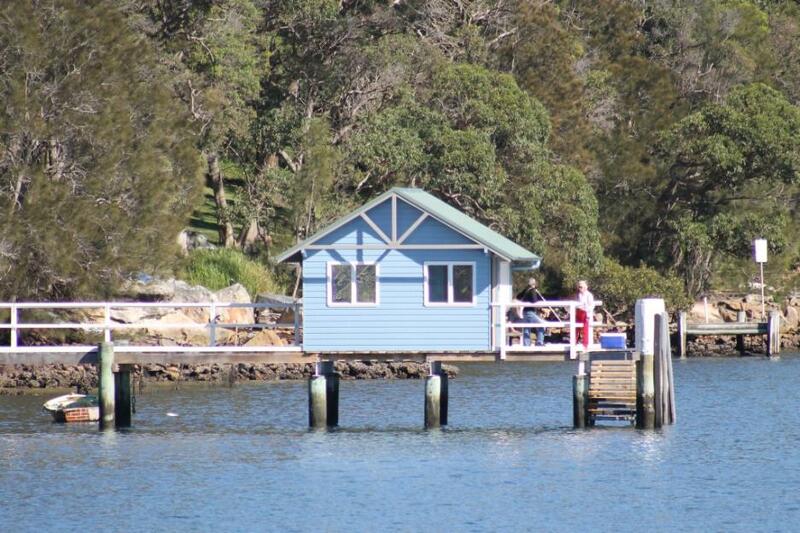 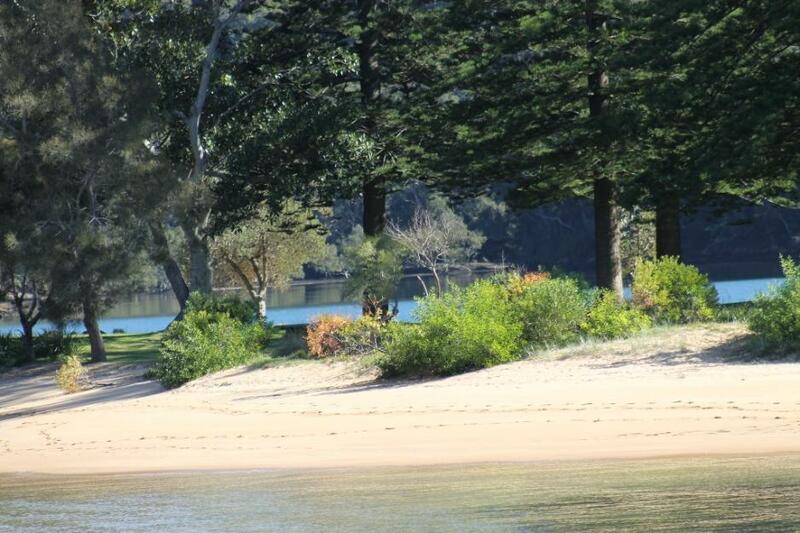 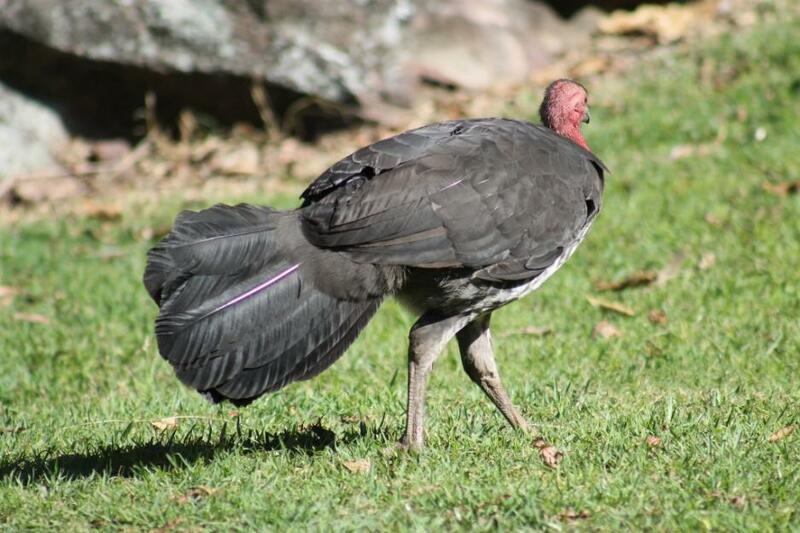 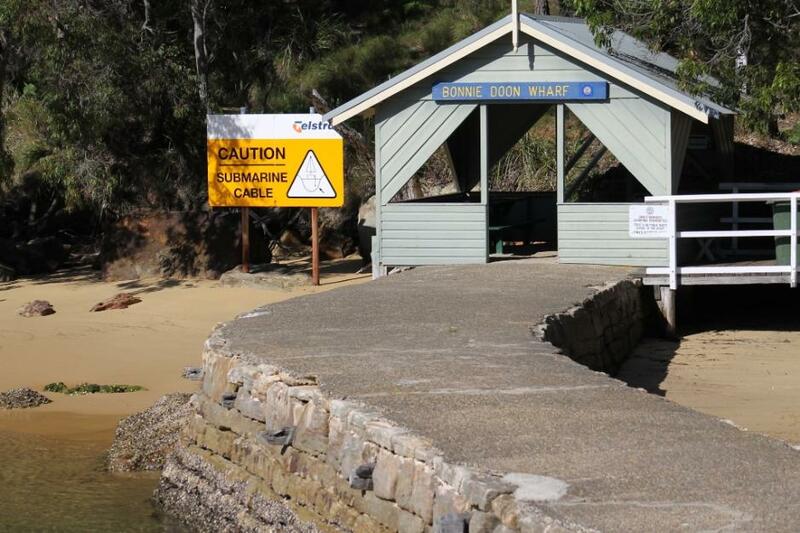 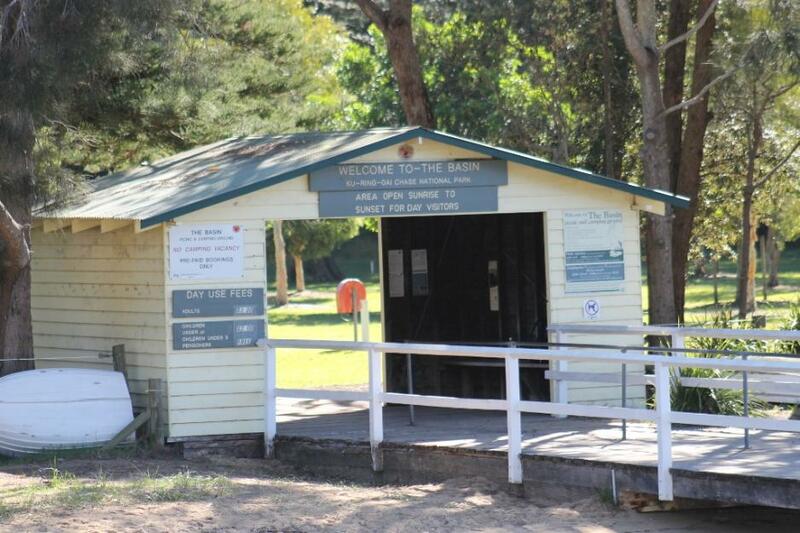 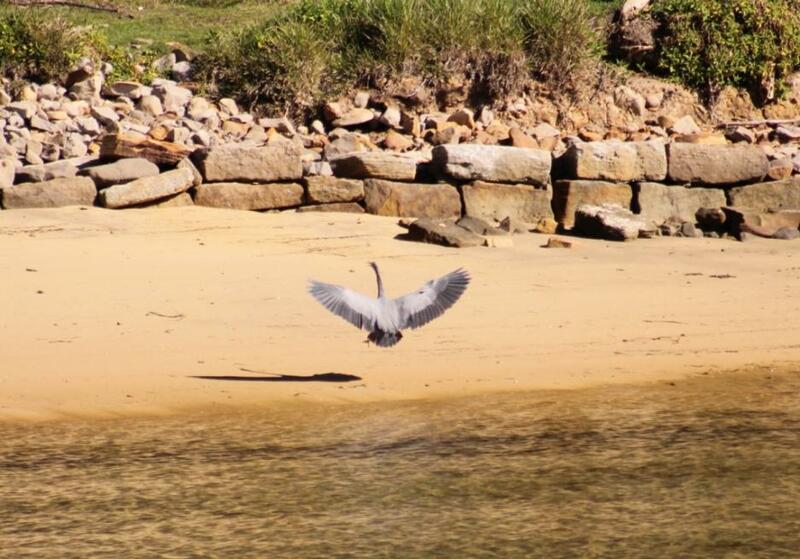 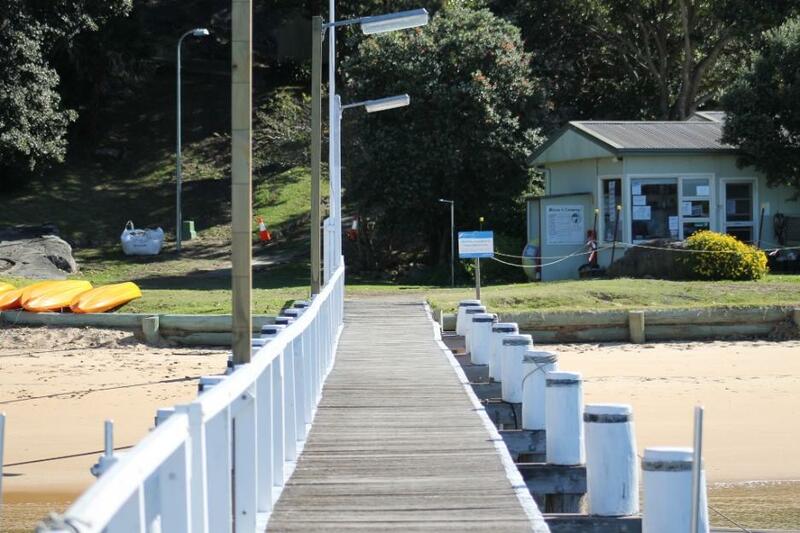 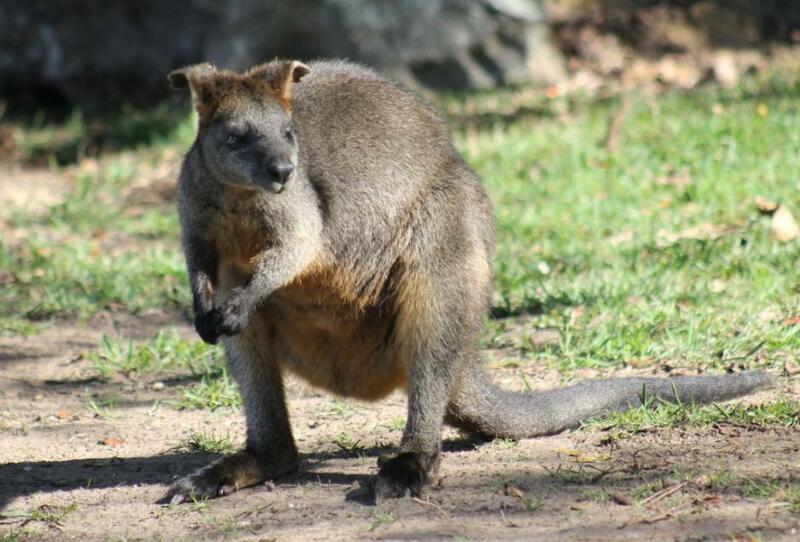 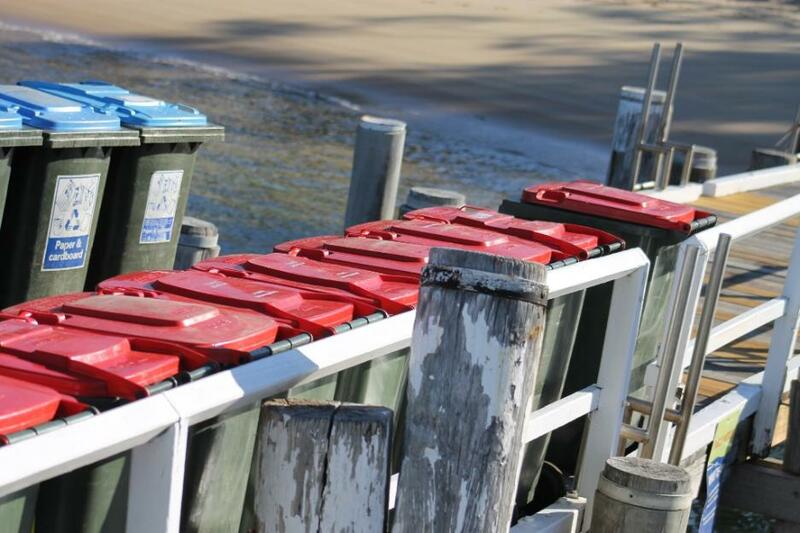 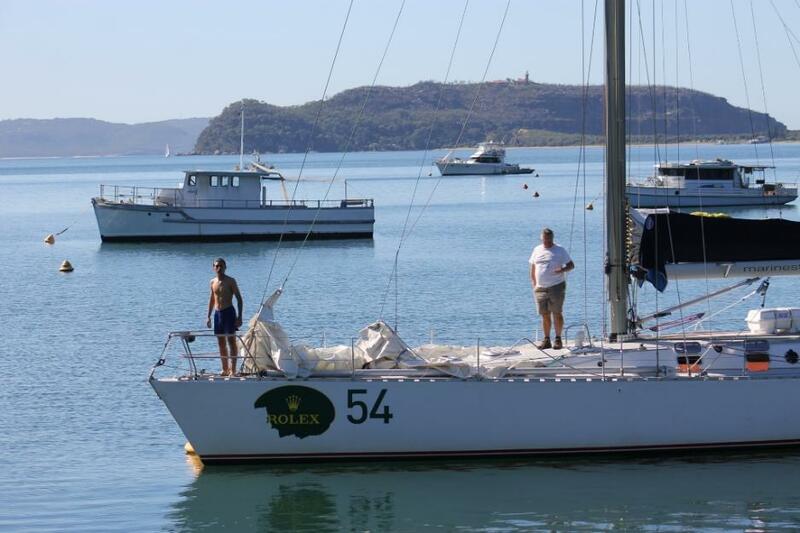 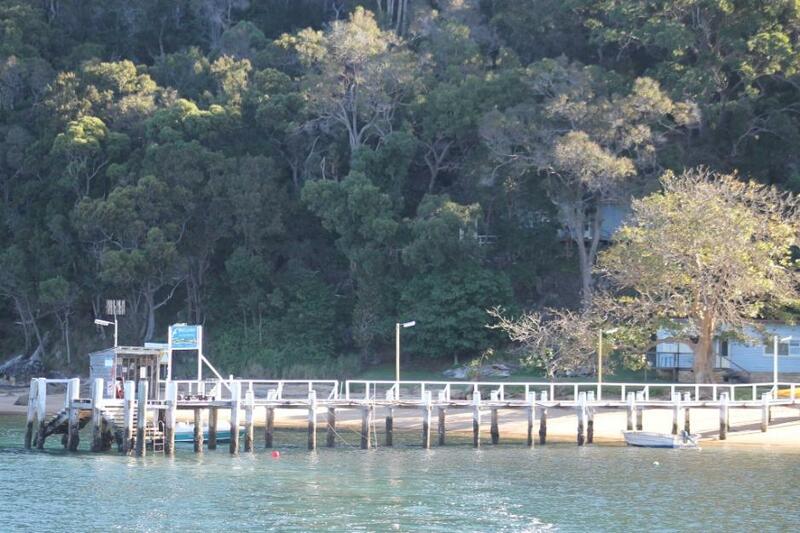 Located at Pittwater Park, off Barrenjoey Road at Palm Beach. 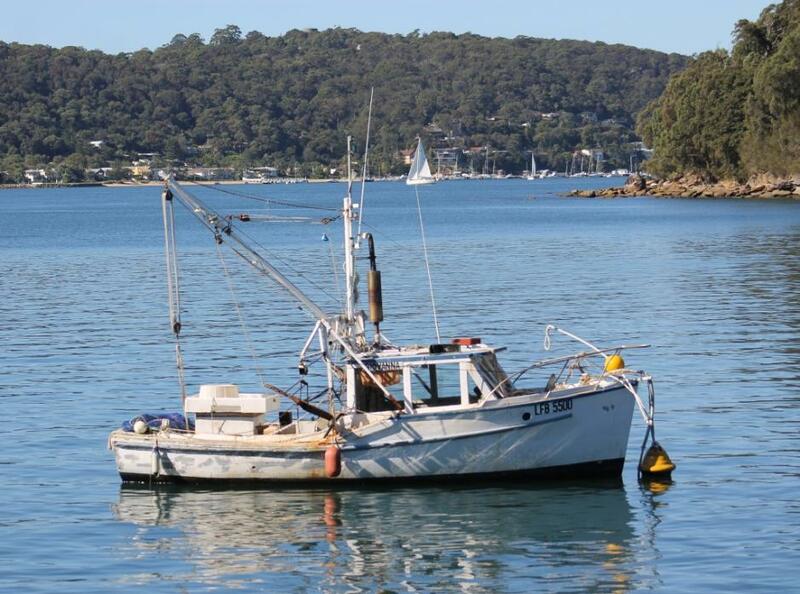 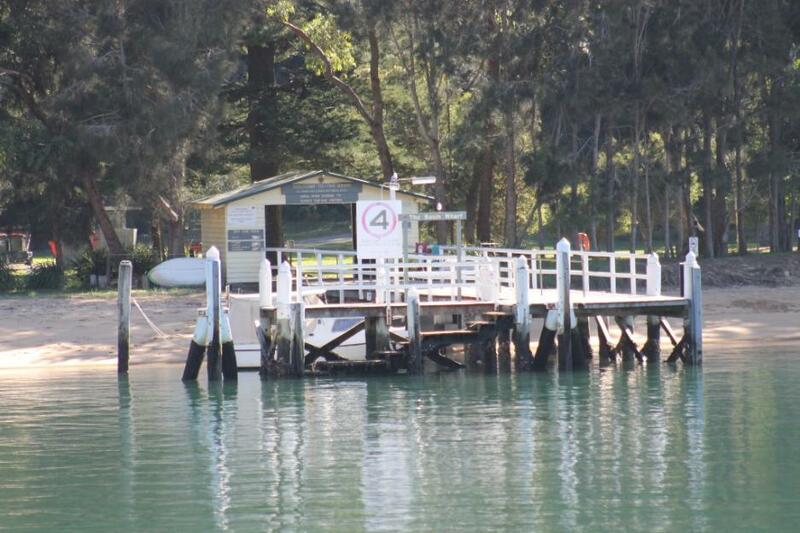 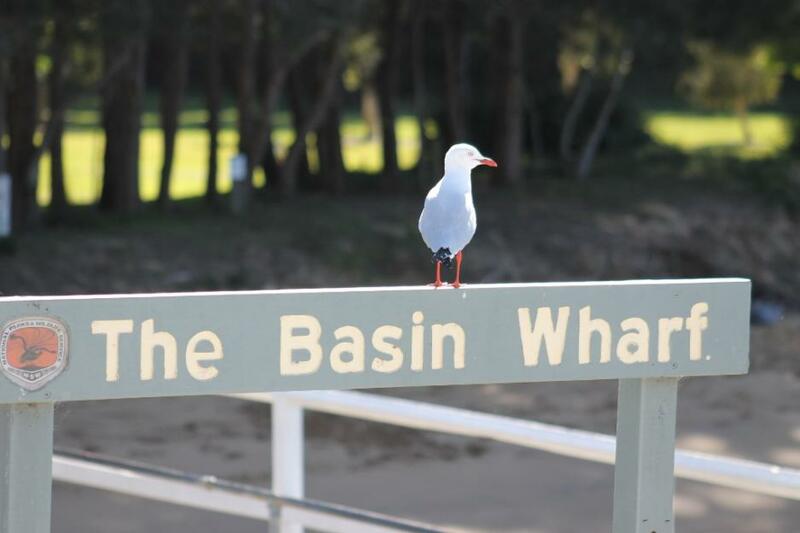 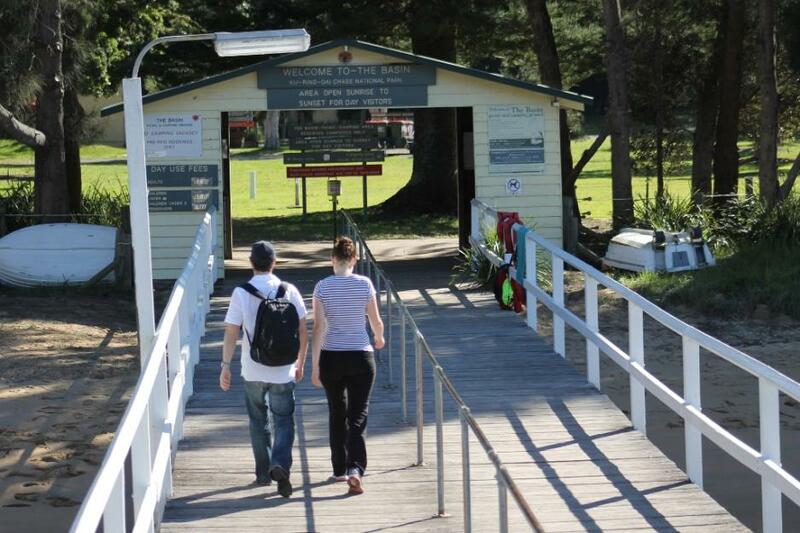 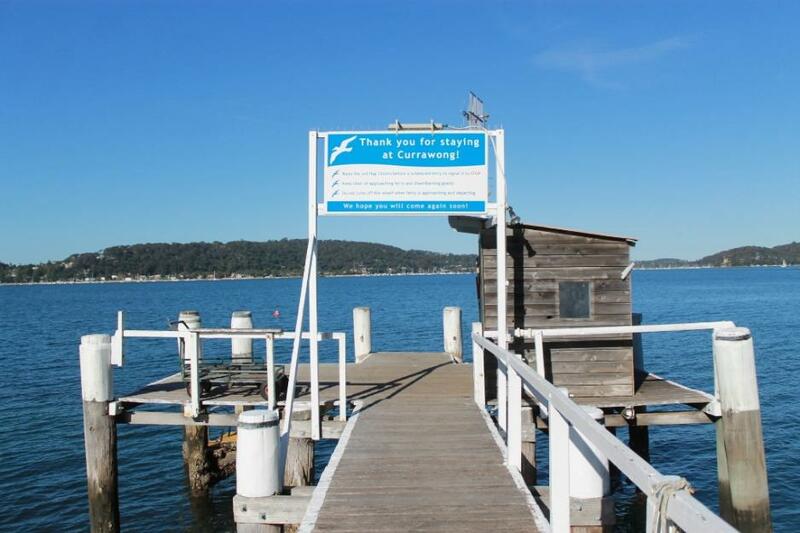 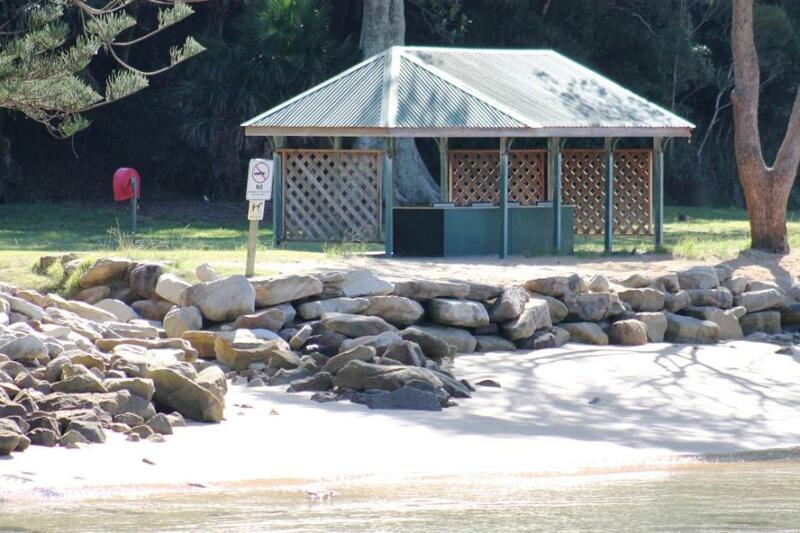 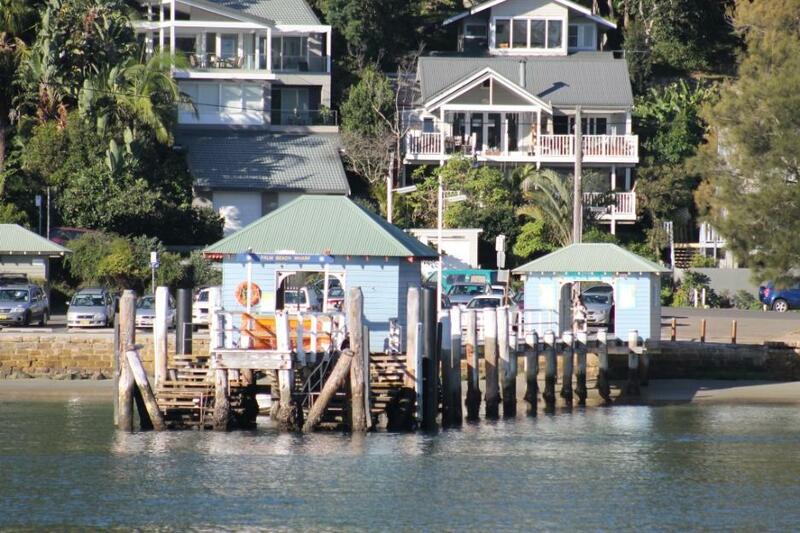 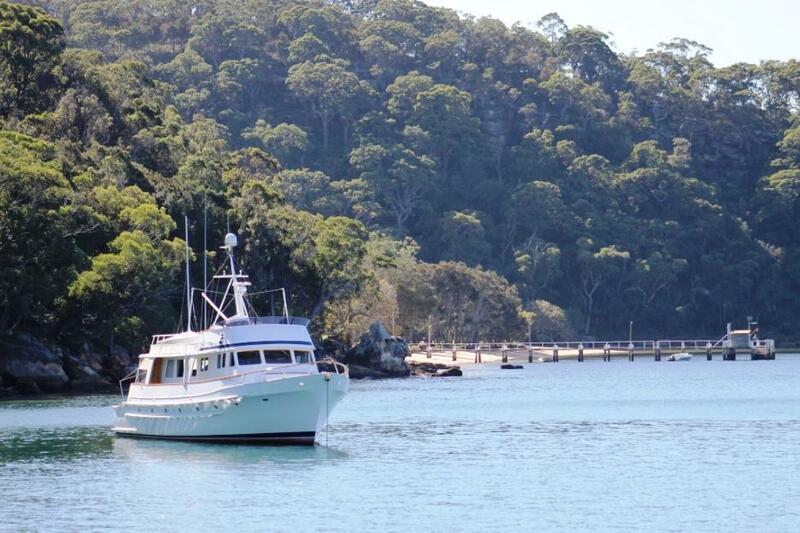 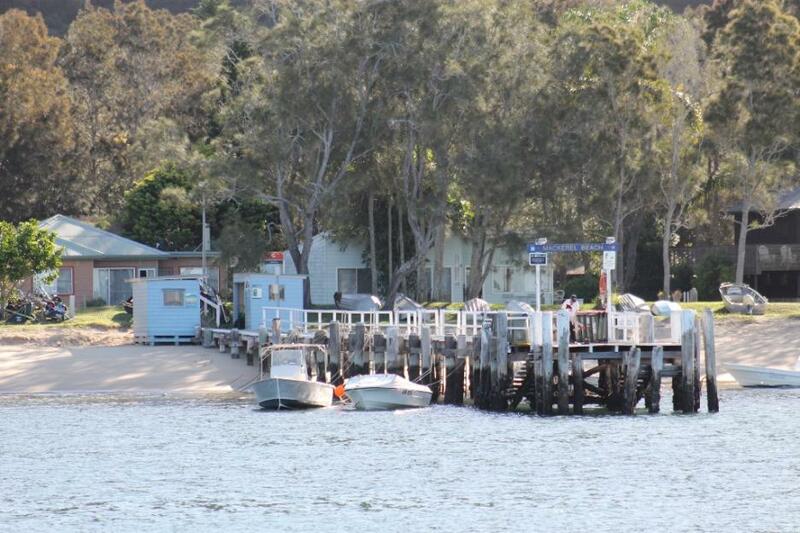 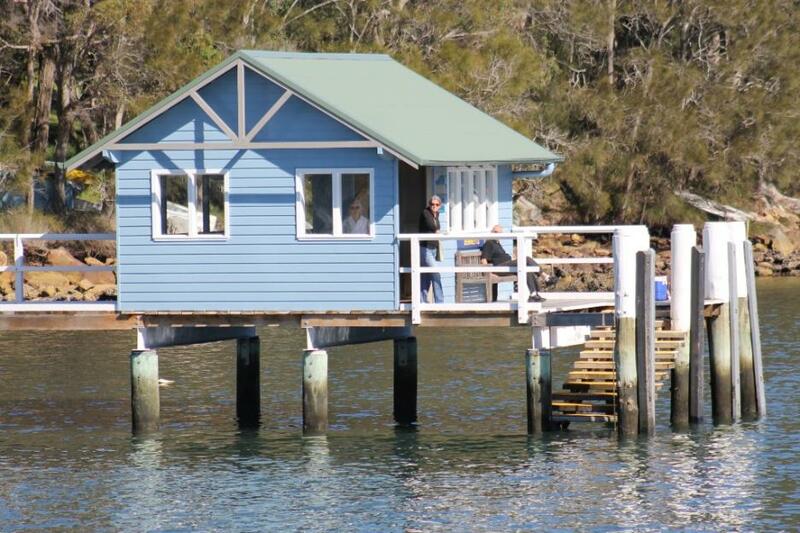 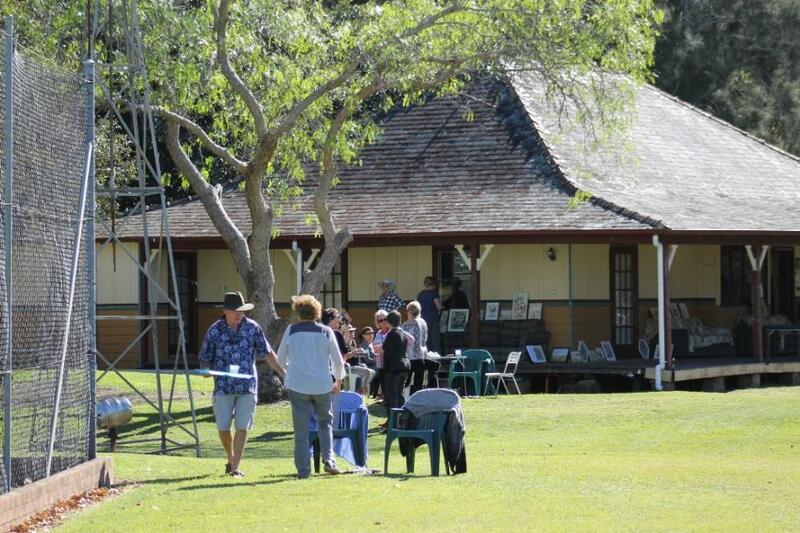 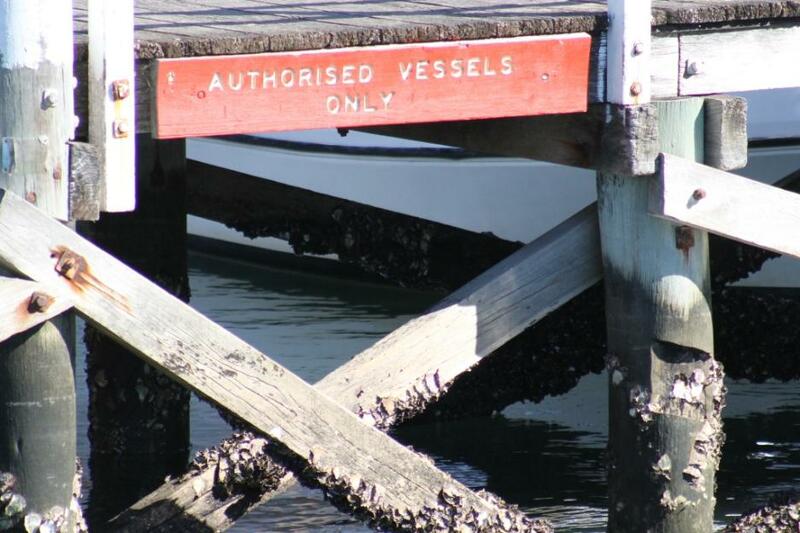 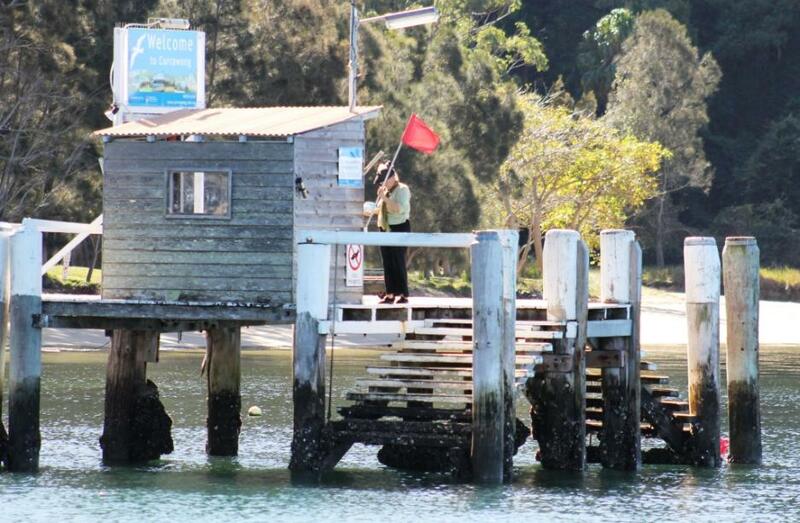 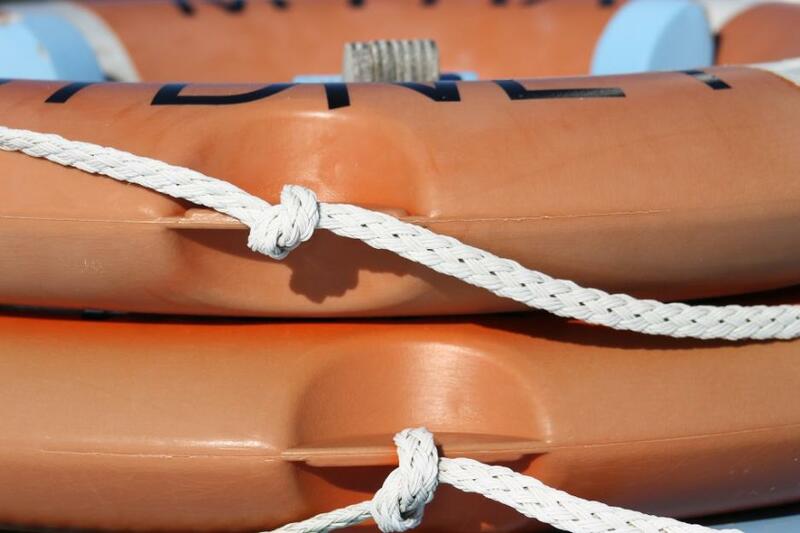 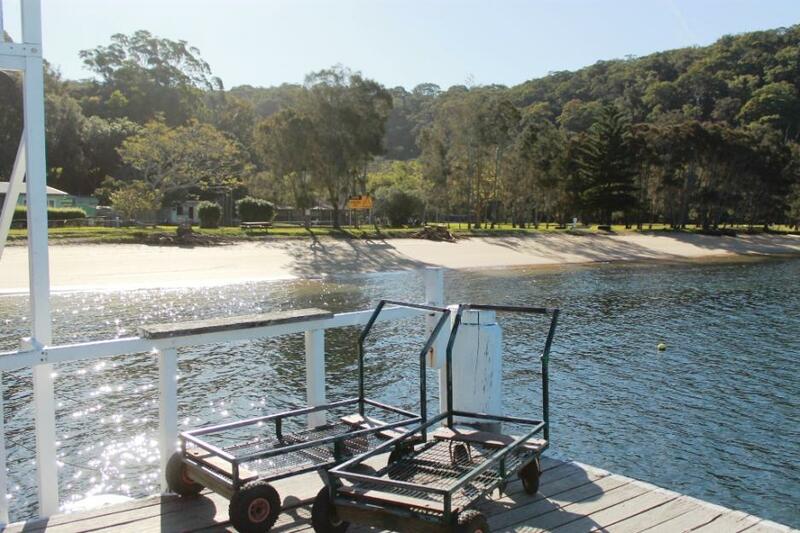 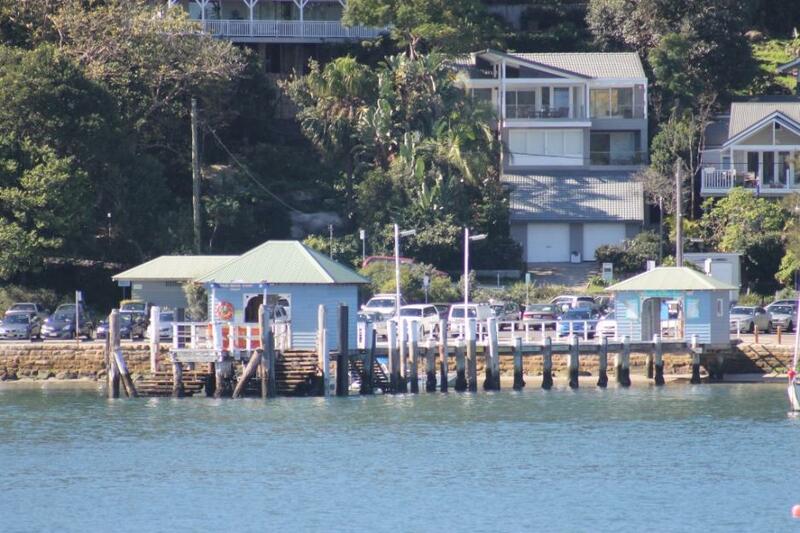 This wharf is a recreational, commuter and commercial wharf with picnic facilities and playground area and ample pay and display parking and a regular ferry service to the western foreshores (including the Basin, Ku ring gai National Park) and to the Central Coast. 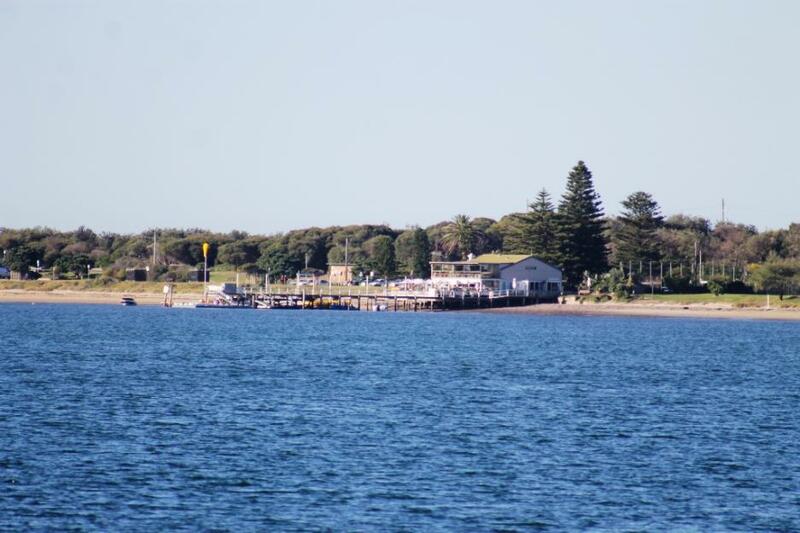 There are also shops nearby. 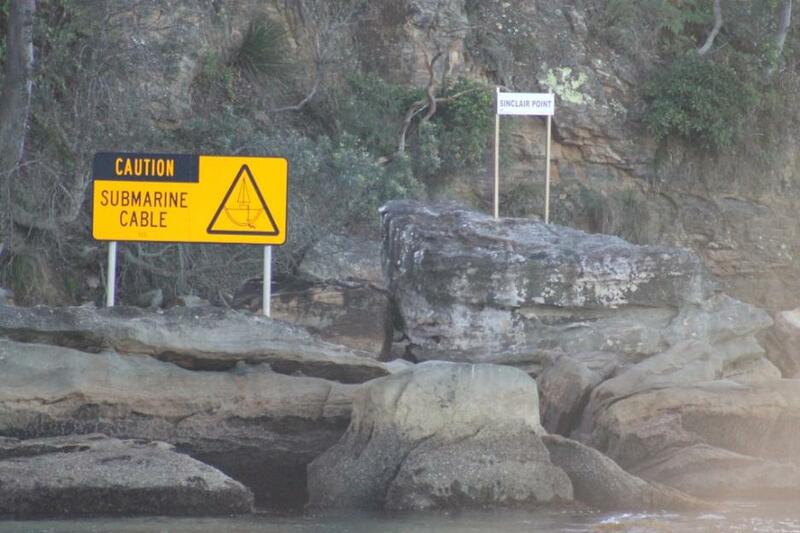 Located at Mackerel Beach. 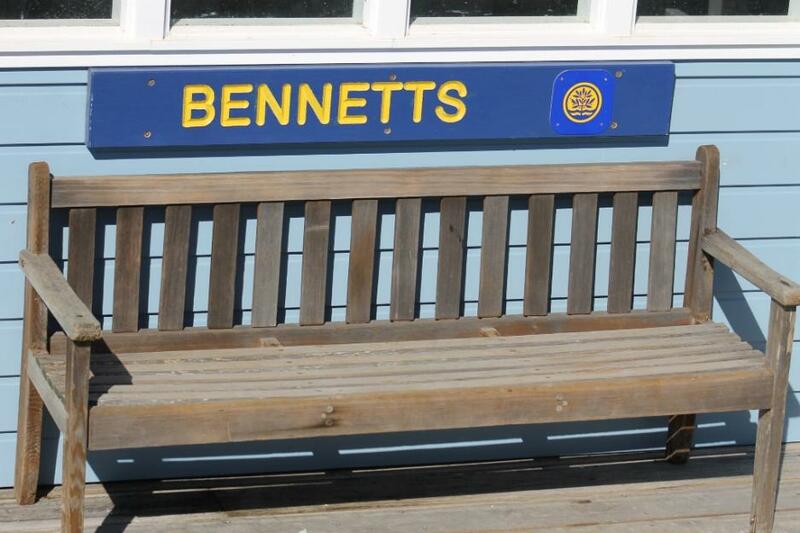 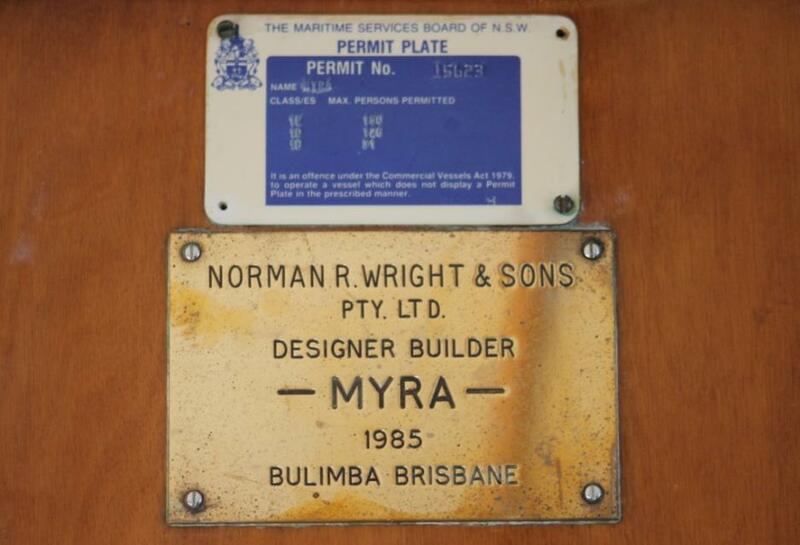 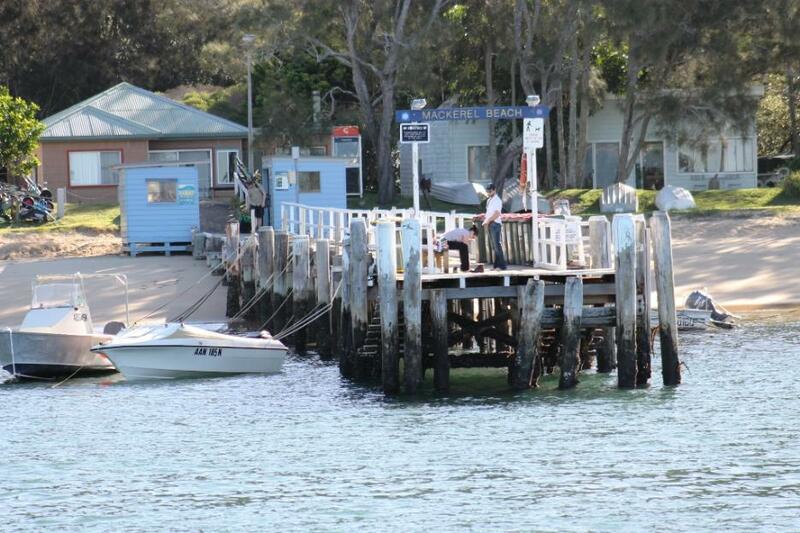 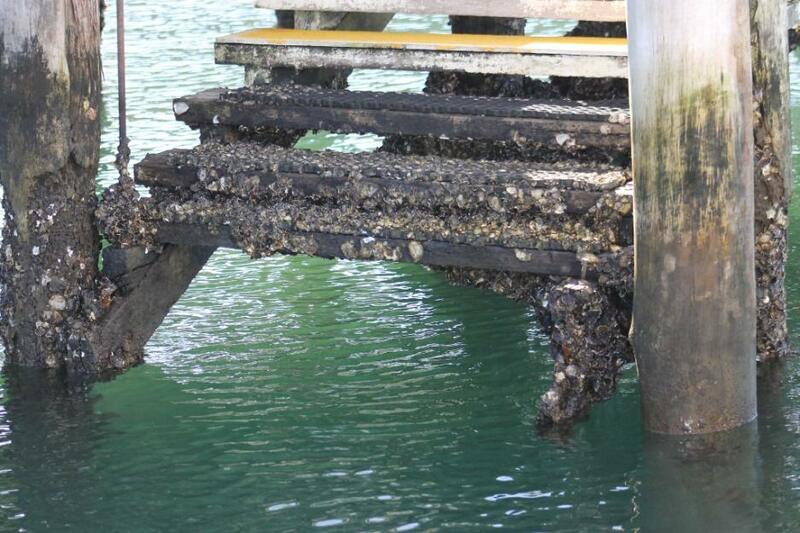 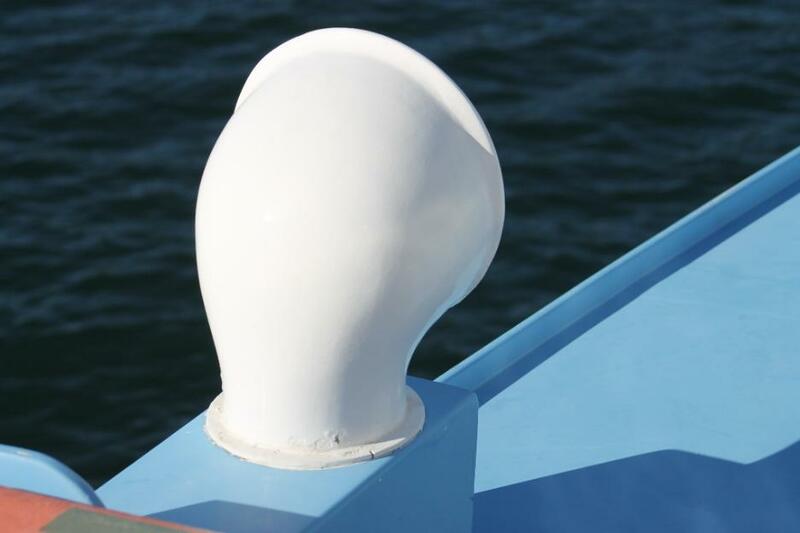 This wharf is mainly a commuter wharf and a boat tie-up facility. 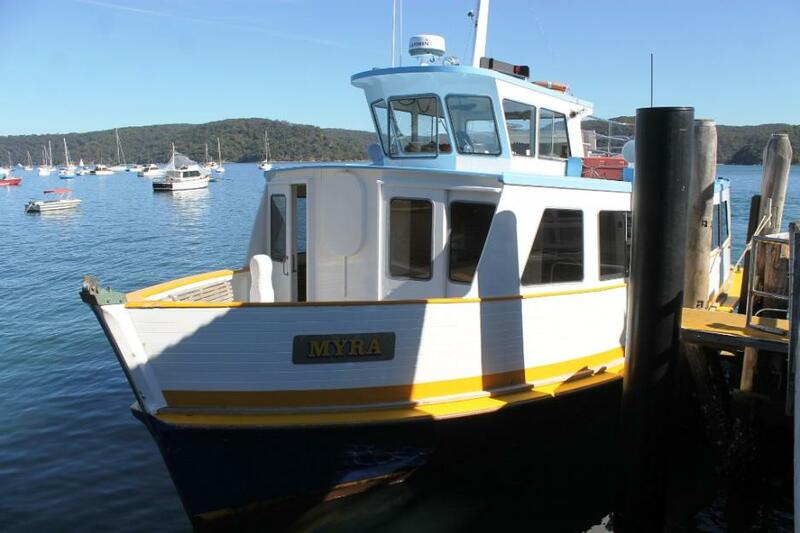 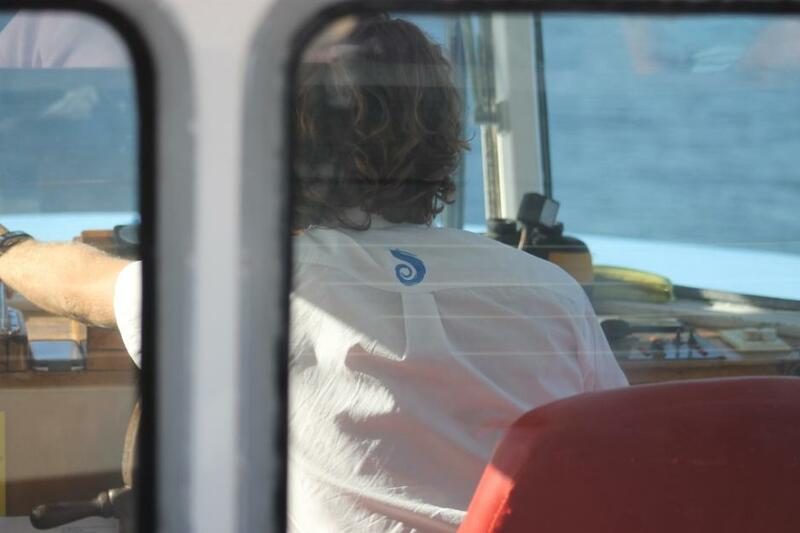 Brad - who drives the Myra ferry! 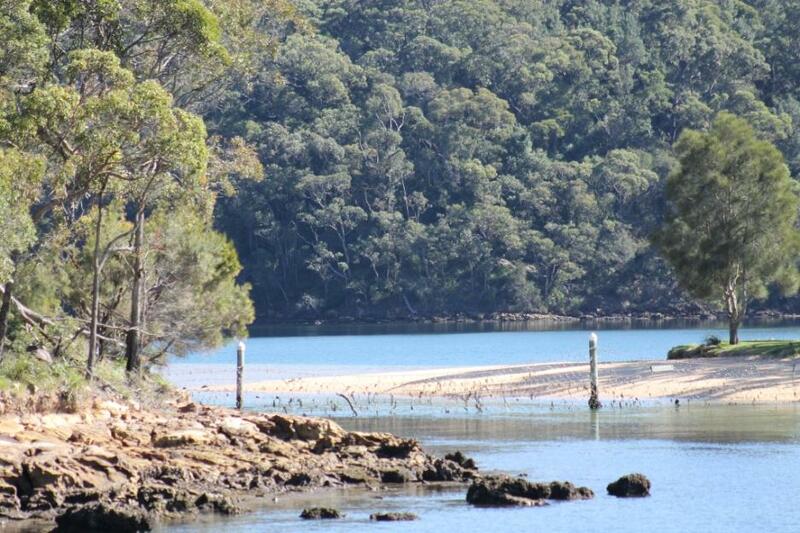 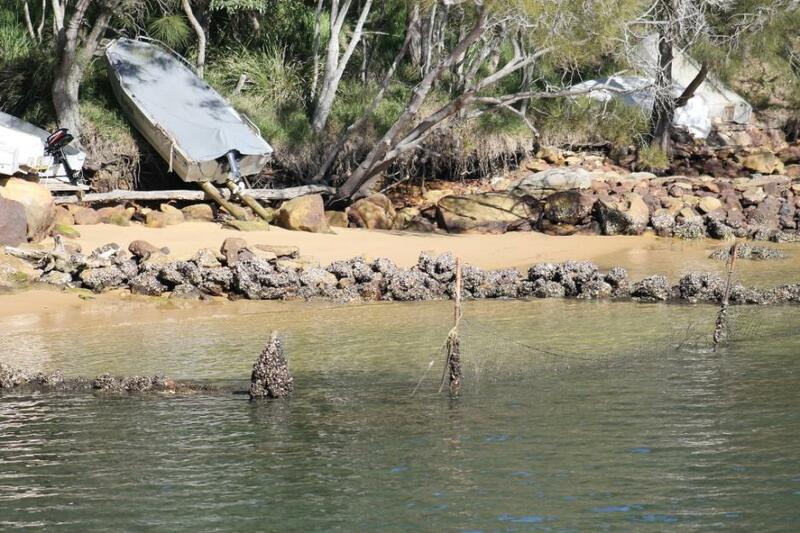 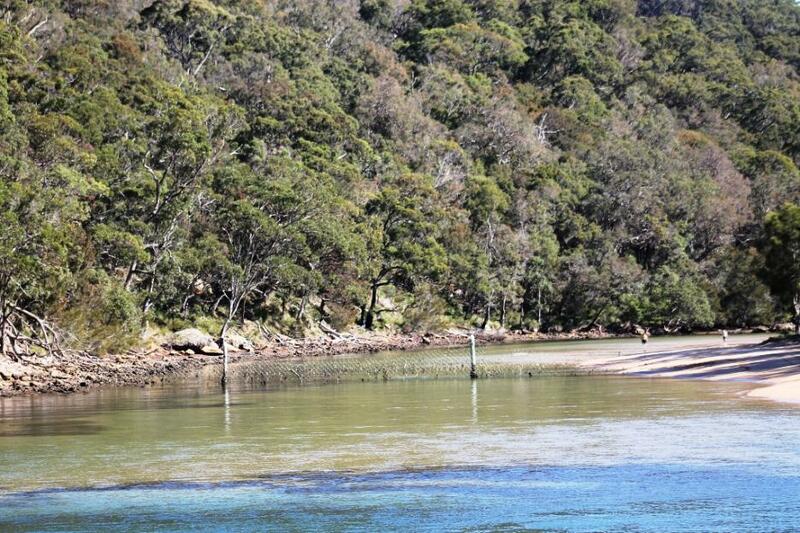 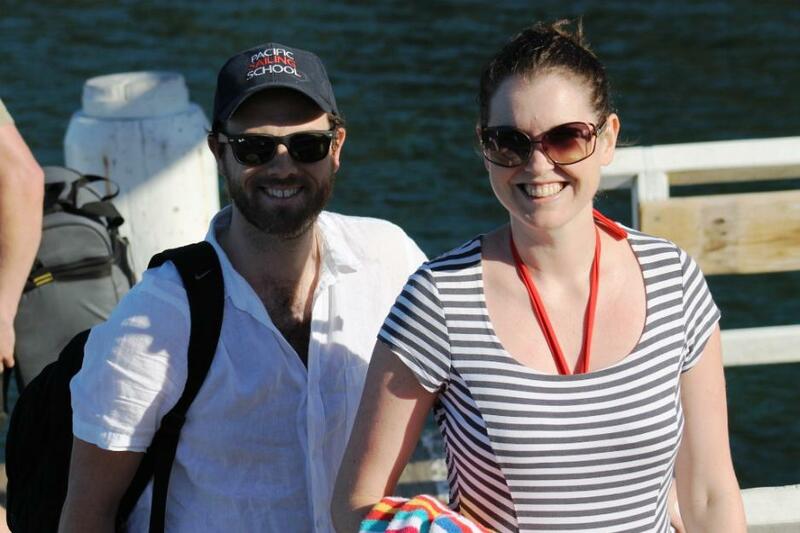 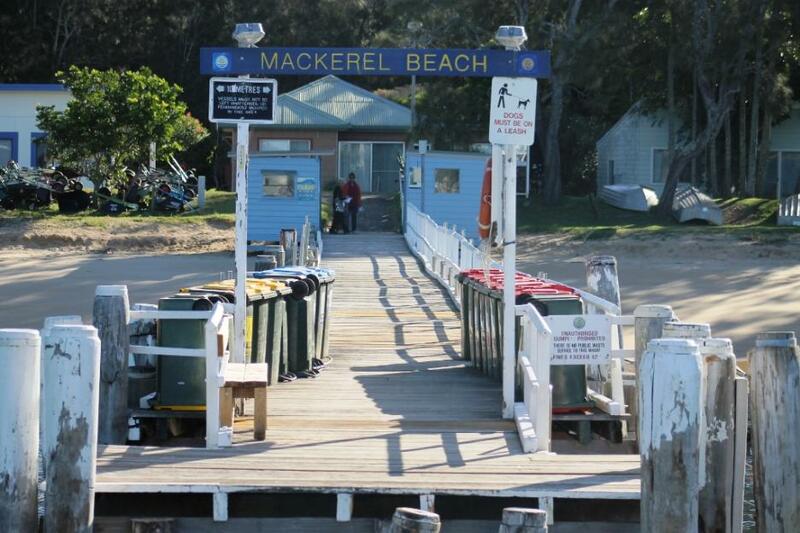 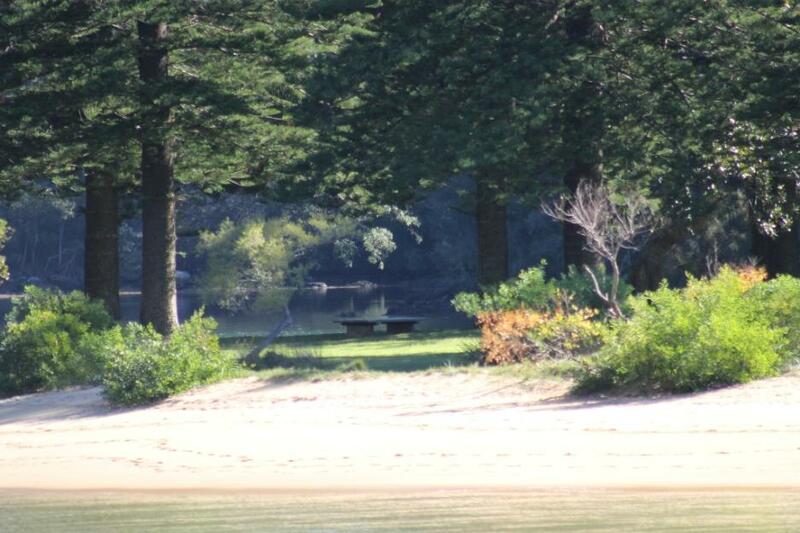 The couple that disembarked at The Basin - did a bushwalk - and reembarked at Mackerel Beach! 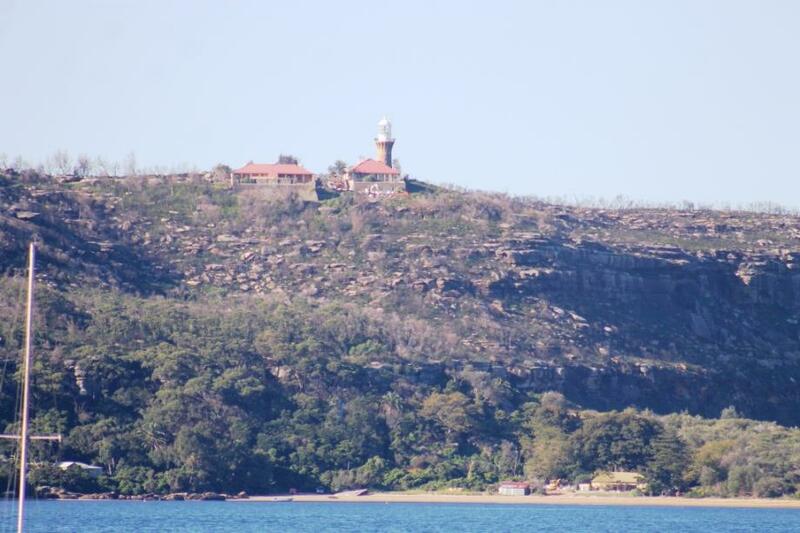 Good view of Barrenjoey Lighthouse from here.